Tankless heaters: gas or electric? With a gas tankless water heater, you will be using a fuel that’s going to heat the water rapidly and provide a lot of warm water within a short period. These systems, however, are impacted by the ground temperature and the water coming out of the ground. If you need hot water within a short period, then a gas tankless water heater should be considered because these systems can raise the water temperature very quickly thanks to the fuel type that it uses. Electric water heaters are generally considered a safer option because there are no flames, fumes or combustion in these systems. They are therefore considered safer for pets and children. They are also very economical and energy efficient. Regardless of the type of system you choose to invest in, you should always invest in a professional water heater installation. 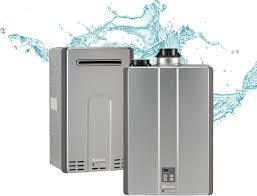 Contact the pros at Hot Water for water heater installations in Panama City today.